Every day, archaeologists from around the world have to recognise and classify thousands of ceramic fragments. With ArchAIDE, a tablet or a smartphone can be used to take a photo of a ceramic fragment, and to enter basic textual information. An automated search is performed, matching the fragment to a comparative collection, which activates the automatic recognition system, resulting in a response with relevant information about the fragment. All the information is stored within an online database, allowing each new discovery to be shared. 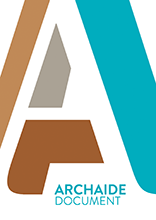 ArchAIDE will attend the CAA2019 with a workshop dedicated to explain the project and test the ArchAIDE app. Organised by the European Commission as a key event of 2018 European Year of Cultural Heritage, the 'Fair of European Innovators in Cultural Heritage' will take place on 15-16 November 2018 in Brussels. ArchAIDE will be there! ArchAIDE will attend the REA Workshop "Common challenges and perspectives for Digital Cultural Heritage in H2020 projects. Building on lessons learnt and strengthening the societal impact". ArchAIDE will be present at the Visual Heritage Expo during the Visual Heritage Conference from 10 to 15 November in Vienna (free entrance). The ArchAIDE' UNIPI team members will attend at Bright 2018 (The European night of researchers in Tuscany) to talk about the project and show the first prototype of the application, with the aim to involve colleagues, students, citizens and kids. The ArchAIDE' UNIPI team members will attend the workshop dedicated to archaeology and robotics at the Festival Internazionale della Robotica 2018 (International Festival of Robotics) on September, 28th from 9 to 13:20. ArchAIDE organizes a workshop during the AIAC 2018 conference. The workshop will focus on an open discussion about the ArchAIDE approach in particular and the needs of todays research in ancient pottery in general. Deliverable 9.3 represents the ArchAIDE final video production intended as documentation of the various phases of the project. It has been produced merging and editing all the video material produced during the project timeline, partly already published on social channels, and adding brand new unpublished video material. Deliverable D1.4. First annual progress report of the ArchAIDE Project. Deliverable D9.2. This deliverable is part of WP9 “Communication/Public engagement/Innovation”. It describes the activities related to the creation of the web site and the promotional kit for the project. These products start from the ideas set out in the Communication Plan (D9.1) and follow the communication strategy described in that plan. Deliverable D10.2. All research data collected and generated during the project will be managed securely during the project lifetime, made available as Open Access data by the project end, and securely preserved in the Archaeology Data Service (ADS) repository into perpetuity. The online Data Management Plan (DMP) is available to view here. Deliverable D10.1. The primary aim of the Dissemination Plan is to outline the strategy for raising awareness about the ArchAIDE project amongst researchers, professionals and students in archaeological disciplines and the wider scientific community, activate their desire to use technologies developed by the project, and facilitate the potential to change working practice within the domain.